Understanding critical information about performing a vehicle inspection, filling out vehicle inspection forms, and the consequences of a roadside inspection, helps protect your equipment, your drivers, and your organization's reputation. And, not only do vehicle inspections make good sense – they are required. Drivers also need to know what to check on the vehicle and how to spot defects, who to call when there is a problem, and how and when to submit documentation. A regimen of a complete pre-trip at the beginning of the day, walk-around inspection every time the vehicle is parked, and a post-trip at the end of the day is the best practice. That, coupled with a competent maintenance department, can keep your vehicles on the road, in good shape, and help keep your CSA BASIC scores low. Have a business plan of what are the major objectives of the department. Include what are the major tasks that need to be completed. Set goals that are specific, measurable, achievable, and realistic within a time frame. Identify all who are responsible. What is the financial impact (good or bad) that this dept. and operational plan will create for the company? Use the FMCSA’s Safety Management Cycle or another LEAN principle model. Recruit and retain qualified certified technicians for annual/periodic, brake inspections and A/C repairs. Provide initial training and retraining for mechanics and drivers. Drivers also need to know who to call when there is a problem and how and when to submit documentation. Allow drivers to “red tag” equipment to alert other drivers and the maintenance team of needed repairs. Celebrate success and share the savings. This need not be a “bonus” program; it may simply take the form of gas cards or other certificates that recognize when an associate contributes to high level objectives by executing their role well. Stay abreast of DOT, OSHA, and EPA regulation requirements and follow them. Track every roadside violation and repair request. Watching these 2 data sets can indicate a problem with the maintenance program or a problem with specific equipment. Post CSA scores in multiple visible areas of the company. Know sources for parts, new, used and rebuilt, remanufactured, and warranties. Track parts and supplies inventory, costs and reorder points. Report cost by vehicle, work performed or cost per mile. Compare repair expenses to revenues generated and use this information to establish replacement benchmarks for each piece of equipment. Have an electronic system in place to set up automatic preventative maintenance alerts, annual inspections, track repairs, inventory and costs. Maintain DVIR records for all post-trip inspections, not just when a defect is found. Consider eDVIRS for drivers with the use of an Electronic Logging Device. Consider quarterly preventive maintenance (PM) reviews. It pays to have a qualified mechanic take a deeper look more than once a year. This will be an investment in “peace of mind” and provide lower overall operational expenses. Based on the needs of the company, determine PMs by time, miles or engine hours. Have an established a schedule for trailers, lift gates and other special equipment as well as power units. Have “Inspection Lanes”: a designated lane or shop where vehicles enter or exit the facility. Drivers can bring up complaints and have them checked on the spot. An Inspection Lane may be too expensive or cumbersome for every fleet so in place they may use Yard Checks. Have specified times throughout the day, have technicians that will “cruise” the yard and check the equipment that is newly arrived in the yard. Conduct random “stakeouts” at customers, carrier’s lots, or fuel locations. Track how many drivers do the required inspections. Conduct pre-service inspections to new equipment or equipment that has been inactive for a while. Contact the Original Equipment Manufacturer (OEM) that built the vehicles. Most OEMs have an inspection and preventative maintenance (PM) schedule available for the vehicles they build. Establish “pull points” or “cut off points.” This is a pre-determined “wear and tear” threshold that when reached, is the trigger for the part or component to be removed and replaced. 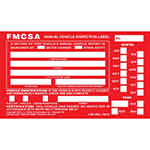 Get the forms you need to comply with vehicle inspection and maintenance requirements. 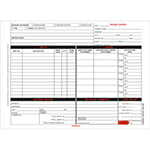 Choose from paper or electronic solutions as well as a wide assortment of form types. 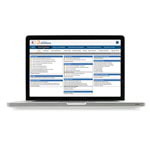 Plus, get accurate, up-to-date regulatory information with training programs and publications. 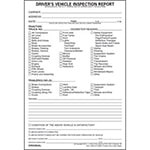 DOT vehicle inspection forms provide checklists for inspecting a wide range of vehicles and help you document and report necessary repairs for regulatory compliance. Repair orders and maintenance file packets help you authorize, schedule and record preventive maintenance or repairs. 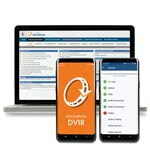 AVIR forms & stickers help you conduct and verify annual vehicle inspections to improve fleet safety and ensure compliance with DOT requirements. Driver training provides critical information on complying with DOT requirements for vehicle inspections, roadside inspections and more. 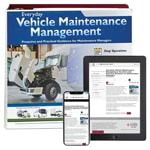 Online vehicle maintenance with preventive maintenance alerts, asset tracking, and parts inventory. Helps maintenance managers improve CSA scores, avoid fines, reduce the risk of costly breakdowns and accidents, and contain costs. 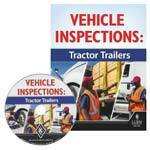 Prepare for roadside inspections and help improve CMV safety with this must-have CVSA handbook.